Enjoy the best of both worlds – healing and relaxation in your own tranquil sanctuary at The Spa Wellness. 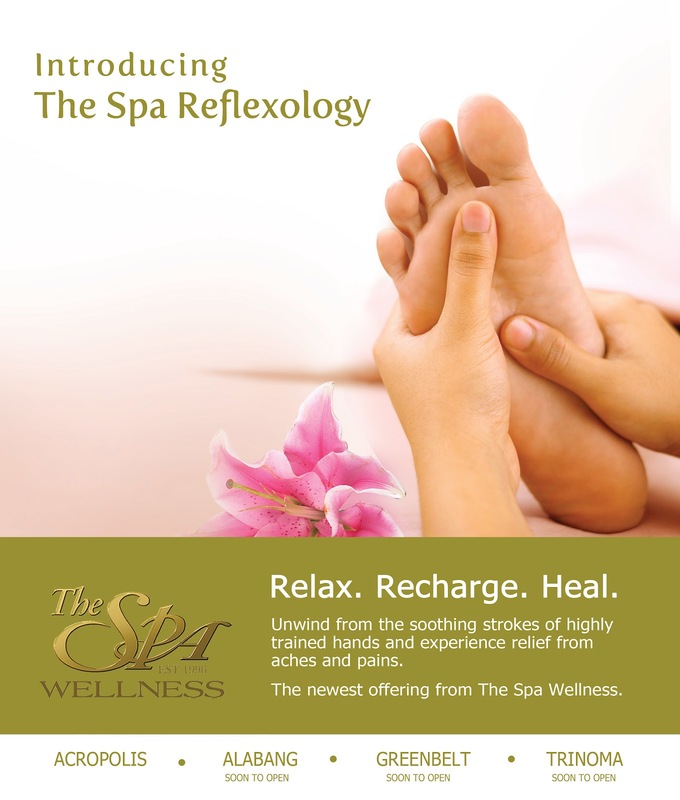 The Spa Reflexology is a healing massage that focuses on particular “pressure points” of the soles of the feet, where sensory nerves of the internal organs that spread throughout the body are mainly gathered. A different massage experience awaits clients as hands, fingers and a wood stick with cream and oil are used in lieu of the use thumbs, palms and elbows in the conventional message treatments. Enjoy this 60-minute service for only P550 per session.